"Great location, lots of restaurants and shopping nearby, inc..."
Have a question for White House Beach Resort and Spa? "Cool rooms, I love the hidden away feel of each building." "The staff were incredibly friendly and helpful, location was great!" "Such a shame as the facilities were lovely." 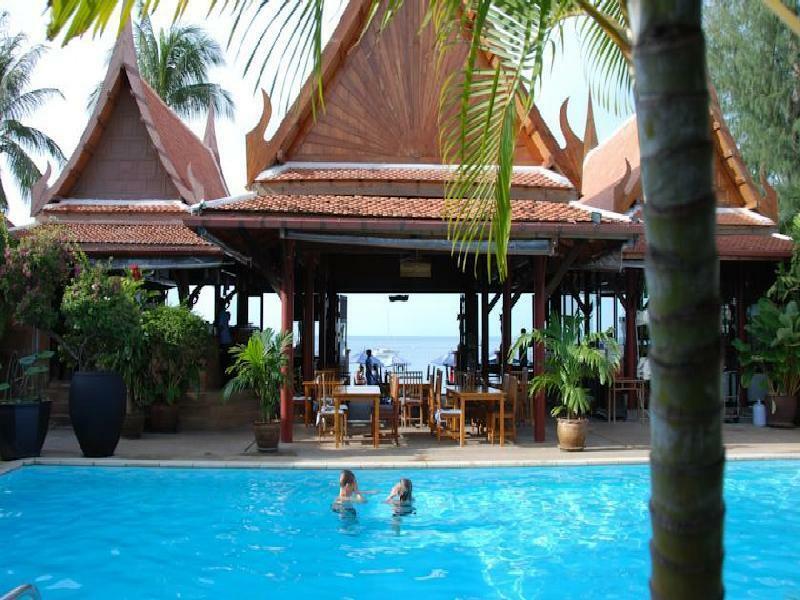 White House Beach Resort and Spa is centrally located on the Choengmon Beach and sand prints away from shopping and bars in popular Ko Samui. Ko Samui, known for its white sandy beaches and safe, friendly atmosphere, is one of the fastest growing islands in Southeast Asia. 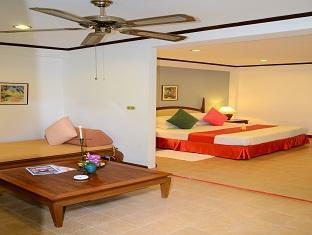 White House Beach Resort and Spa is a renowned resort right in the center of everything. 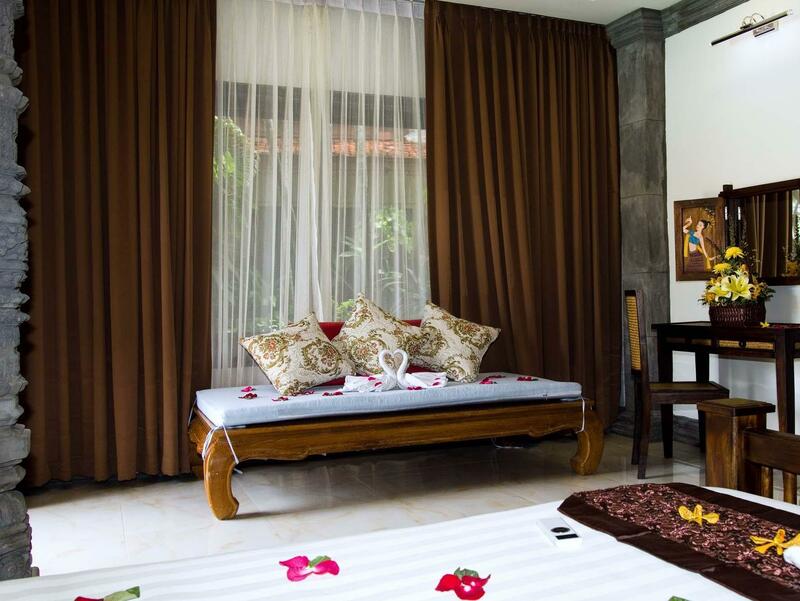 With it's tropical gardens, friendly hotel staff, and relaxed atmosphere, this hotel is a must-see. The property features its own well-stocked library and reading space for all those guests looking to kick off their shoes and relax for a while. There is also a freshwater swimming pool. Whether relaxing poolside, enjoying the amenities of the luxurious rooms, hanging out by the plants, or getting a massage, White House Beach Resort and Spa patrons will find they are in the heart of paradise. We enjoyed a week a relaxed beach holiday in this hotel. The location is perfect: Coming from the street with restaurants and small shops, we enter the hotel area and immediately feel the quite and relaxed atmosphere. With all the trees, it feels a bit like in a jungle. Several small buildings, usually containing four guest rooms, are distributed on the area with lots of trees and plants. Continuing straight on, we pass the outside swimming pool and the adjacent outside restaurant (protected from sun/rain by a roof). Just behind it, we find the beach. From the restaurant we can see the pool and the beach, so kids can play there while parents still enjoy there breakfast. In the evening, the restaurant will even place some tables directly on the beach. The room itself was big and clean. Service good and friendly. Air condition and fan available. One thing the hotel might want to improve is the bathroom: The sink on the floor emits an awful smell. We simply fixed it by "sealing" it with some paper during our stay. If we come back to Koh Samui, we will come back to the White House! The location was very good.Staff helpful and friendly.Set in a lovely landscaped garden. Very good stay.We liked the location right on the beach,but with a few shops and restaurants close by.Quieter than Lamai beach area but that suited us fine.Room nice and spacious and clean.Bathroom a bit dated but clean and spacious. the white house is central to choeng mon beach which is fairly busy with the deck chairs, and (friendly,happy) hawkers, and jetskis, boats and canoes, and people having lots of fun, fireworks at night etc. we had just arrived from quiet koh phangan so preferred the quieter ends of the beach, one end completely deserted except for one beautiful shade tree and the other end with a couple of lower key bungalows and restaurants, and a little island to walk across to at low tide. nevertheless the whitehouse has very comfortable hotel style rooms with a lovely gardened central path between reception on the road and the pool and restaurant on the beach. the pool isnt large but you can swim in the ocean, although it can get a little mucky after the rain stirs the bottom up a bit. the rooms are spacious and well appointed but lack an outside verandah. the clientelle is mostly russian or european and the library reflects this also. the internet is accessible at all times which is a bonus. there is a chinese/thai influence in the decor and beautiful artwork and sculptures throughout. there is a mustiness in the air probably given the age of the place along with the damp, and they fog for mosquitoes quite often. in the junior suite we had daily papers and afternoon tea which was a nice touch, and we were also very close to the front pool, restaurant, beach area. The White House Hotel is located in the Choengmon bay and is a beautiful bay, secluded but not empty but also not too busy. Plenty of restaurants on the beach and outside within walking distance of the hotel. It's also not too far away from Chaweng if you want some night time activity. The White House hotel is just right for us. I love the quiet, small town with adequate restaurants. Not a lot of shopping in the town, but vendors on the beach. The staff is very nice and accommodating and will help you with any information. The rooms are basic, with good internet service, but no English channels this time when we were here. Thank goodness we took some DVDs. Small, but great beach with swimming area right in front. we were very surpirsed to find a very friendly hotel with access right on to a lovely beach. the staff were magnificent and the breakfast second to none. very reasonably priced and great value. there are also some lovely restaurants close by and easy access to public transport. This is our first visit to Samui, even though we have been to Thailand many times. The hotel made our trip very memorable. It is a quiet town and beach area, not like Chaweng beach. It still had great restaurants and some shopping. There were many Europeans staying there. The staff was wonderful and even gave us a late check out free of charge. The rooms are nice and a good size. However the double bed matress has seen better days and needs to be replaced. Also, he toilets and shower areas are dark enclosed rooms with no windows! Poor ventilation and poor draining. My biggest gripe was upon check out . I was biening charged for a mineral water - no problem there. But when I paid they did not have change and then told me to go accross the street to get change . Not very nice or what you expected before 10 am. Pool was out of order during my stay . I loved this place. On my honeymoon and spent 4 days here. We travelled all over Thailand for 28 days and it was one of my favourite places. Gorgeous, quiet beach with a lot of chairs. Spent most of my time there. Happy hour drinks were reasonably priced. Food a bit pricy but delicious. We usually ate at other places to stay within budget. Friendly, helpful staff. Although front desk told us to take the wrong ferry so we had to take a taxi to our next hotel when we could've walked from the ferry terminal we were supposed to go to. Spacious clean room. Had mosquitoes in the room every night and on the last day figured out they were coming from the bathroom fan. If left turned on it wasn't a problem. The gym is my only complaint. None of the machines worked which was disappointing because they have an elliptical and treadmill. Close affordable laundry across the street as well as scooter rental. Breakfast was good but same thing everyday. I would definitely visit this hotel again. Little slice of heaven. Stayed for 10 days in Feb in the middle of our 4 weeks in the area. The staff and setting makes for an enjoyable stay here to overcome the negative old steps up to sunken bath and hand shower and no balconies on our deluxe room. Setting is excellent if you want a more sheltered beach and swimming than Cheweng. The area is just big enough to give you variety of restaurants and other shops in close vicinity. Breakfast is good and sunbeds solid with new covered thick mattresses and umbrellas Beach and Restaurant staff under Nan and Na all excellent. The quality of food is excellent and well priced. Massage staff all excellent and highlight of our stay. We will be back ! My disinter and I stayed here for 2 nights and was blown away by the place. Yes, the beach was crowded in February, but we didn't spend much time on that beach. There are much quieter beaches near by if you have a car/motorbike. Family mart right next door. The rooms are huge and clean. The breakfast buffet was beyond amazing. The staff is super friendly and helpful. Pool looked very clean. Overall, such a great stay! Great location, lots of restaurants and shopping nearby, including 2 Family Marts and a 7-11. It is too far from the city center to walk, but it's easy to find a taxy or they will call one for you. Cool rooms, I love the hidden away feel of each building. Excellent and fast laundry service. The restaurant is really good with great service and the breakfast is varied and tasty. Also every day they left hot tea and a snack in my room (exclusive suite, not sure if the cheaper rooms got it too). It's not perfect though. The internet was terribly slow much of the time, my free roaming on T-Mobile (capped at 128k) seemed faster some of the time. Also my first 2 days I got a free copy of the Bangkok Post, after that I didn't. I don't know if I got the 2 on accident or if I didn't get the rest on accident, but either way not a big deal. Also the rainfall style shower seemed to be a bit clogged, but honestly I cared so little I never bothered letting them know. Lastly the TV channels were really limited, with only HBO and BBC News in English. Not a big deal since I didn't watch a lot of TV but it could matter if it's rainy while you're there. Every single person who worked there was really nice and friendly. I've worked customer service and I'd like to think I'm pretty good at spotting fake friendliness, but I never got that feeling here. Unless you want to be in the heart of the action I can't recommend White House enough. Staff are super friendly and helpful. Rooms are slowly being renovated. You cant beat the price or the location - walk straight out on the beach. The restaurant food is very good quality also. I know alot of precious people have complained about this or that, but they are all 1st world problems - which thailand isnt. We got the room with some discount, so value for money was good. There are a lot of small things that would have annoyed us if we had paid the full price. 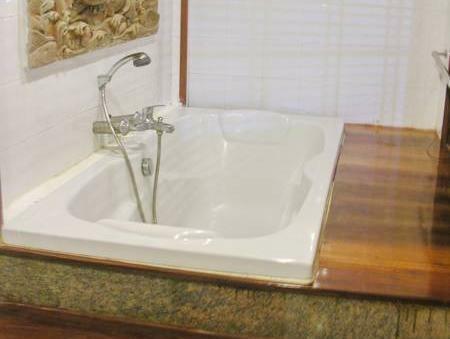 For instance there was initially no plug for the bathtub and the bathtub jet/bubble function didn't work. But again, we got very good value for money and we are thus satisfied. 1st room had serious water problems as it came out black,and toilet flushed all night ,plumber spent 2 days to fix then we were moved to new room underneath,next day plumbers drilled and worked above our room all day.our water was fine,bar a shower that was uncontrollable heat wise. Had a few days respite till the BEDBrUGS arrived.i had been bitten overnight on Monday and blamed mossies ,but I was reading in bed late the following night and threw the sheet back only to see this THING run up the sheet,on inspection I saw 3 live ones,killed 2 and one I kept in a glass to show management.we got ready then at 3 am to sleep in the car till morning.reception gave yet another room for the night and said they would move us in the morning, we left that day. I am totally traumatised will seek advice from legal people when home for compensation and never go to Samui again after 6 years of pleasant travel here.